Dansport's popular boy's style. Order 1/2 size smaller than your American size. 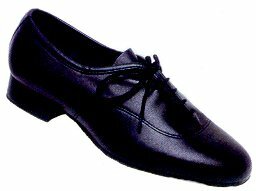 This style is available in Medium and Wide widths with a 1½ inch heel. 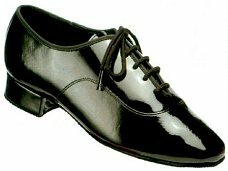 Dansport's popular boy's style. Order 1/2 size smaller than your American size. 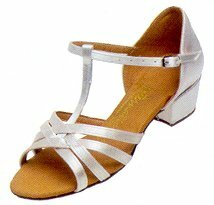 Available in Medium as well as Wide widths with a 1 inch heel. 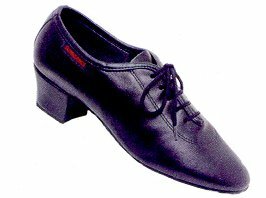 Latin shoe styled with the young boy in mind. Made by Supadance in England. Available in Black Leather only. Order 1/2 size smaller than your child's American size. 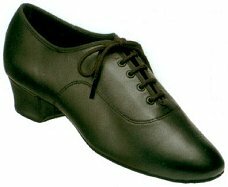 Classic low heel dance shoe for boys. Very popular around the world. Made by Supadance in England. Available in Black Leather only. Order 1/2 size smaller than your child's American size. 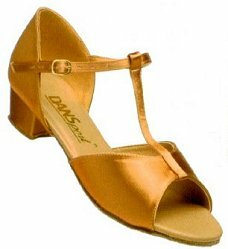 Regulation sandal perfect for the adult or young dancer. Available in White Satin only. Made by Supadance in England. For girl's sizes order 1/2 size smaller than your child's American size. Heel is regulation. 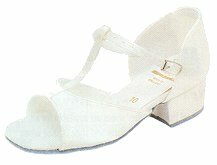 A distinctive fashion look with straps on the upper and a T-Bar for fitting a variety of girls' feet. Made by International Dance Shoes in England. Available in White Satin only. Order 1/2 size smaller than your child's American size. A cost-effective T-Bar by Dansport. 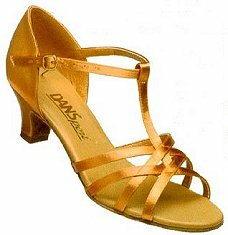 Available in Tan Satin and Silver Brocade only. Order 1/2 size smaller than your child's American size. 1 1/2" heel. A cost-effective fashion look with straps by Dansport. Available in Tan Satin and Silver Leather only. Order 1/2 size smaller than your child's American size. 1 1/2" heel.